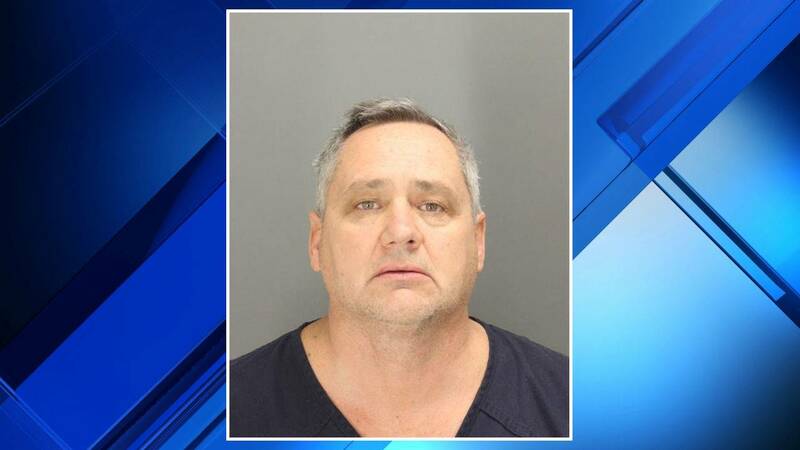 ROCHESTER HILLS, Mich. - A Rochester Hills man chased a 14-year-old boy away from his porch, into his yard and fired a shotgun toward him after the teen knocked on his door to ask for directions to school, according to the Oakland County Sheriff's Office. Jeffrey Zeigler, 53, is charged with assault with intent to murder and felony firearms violations. Deputies responded about 8:20 a.m. Thursday to the home in the 2200 block of South Christian Hills Drive after a caller said someone was trying to break into her home. "The caller reported that a black male was trying to break into her house and her husband chased after him into the yard. Upon deputies' arrival, it was determined that the husband chased after the male with a 12 gauge shotgun and fired a round toward the fleeing male. No injuries were reported," reads a statement from the Sheriff's Office. Court records show Zeigler was charged with felonious assault with a dangerous weapon, aiming without malice and felony firearms in 2006. He was found guilty of three counts of aiming without malice and sentenced to one year of probation. The judge interrupted Zeigler so he wouldn't inadvertently incriminate himself. Zeigler is a retired Detroit firefighter. He was given a $50,000 bond, no 10 percent, and will have to wear a GPS tether upon release. A pretrial conference is scheduled for April 24, and a preliminary exam is scheduled for May 1. Brennan Walker, 14, said he woke up late Thursday morning and missed the school bus. He decided to walk to Rochester High School instead. However, he started to lose his way and needed help. Brennan knocked on the door to a house on South Christian Hills Drive to ask for directions. "I knocked on the door, stepped back, knocked, stepped back, and then a lady came downstairs yelling at me," he said. "She asked me, 'Why are you trying to break into my house?' and I told her I was just looking for directions to Rochester High," he said. Then a man came downstairs armed with a gun and Brennan started running. "I turned back and I saw him aiming at me," said Brennan. "I was running away ... I was trying to run away faster and I heard a gunshot," said Brennan. "That's just completely unacceptable on every level. I don't know how you would justify it, but it certainly doesn't pass the muster," said Bouchard. "I want to see this pushed to the fullest extent. It definitely was a hate crime," she said. "Over the last 24 hours I’ve been working with the leadership of the Oakland County Sheriff’s Office and Rochester Community Schools and have been kept apprised of the terrible incident which occurred yesterday in one of our neighborhoods. While the City cannot officially comment on matters under investigation, I am personally sickened by the initial reports and they suggest behavior completely unacceptable and inconsistent with the character and values of our community. Our city has a strong and unwavering policy when it comes to acts of hatred. The key excerpt of that policy is referenced below and I’ve asked for it to be placed prominently on the City website as well. We stand by this position wholeheartedly and look forward to justice in this case." "50 years ago, Dr. Martin Luther King, Jr. diagnosed for the nation its most dangerous and deadly spiritual ulcer. Yet today, there are still too many in our communities who have failed to heed his prescription to see our character because they are too blinded by our color. "America still suffers from an illness rooted in an assumption fueled by a false perception and sustained by our racial condition. 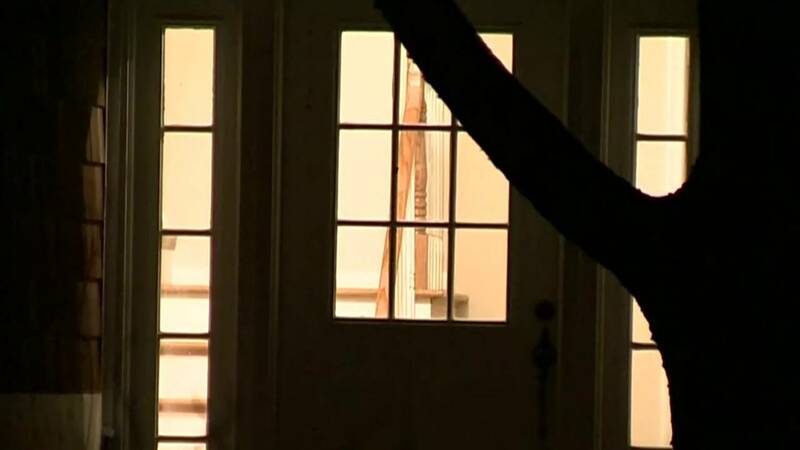 The recent shooting at 14-year old Brennan Walker, at a home in Rochester Hills, while simply trying to find his way to school, by a white homeowner, is another case-in-point. According to young Mr. Walker, after he knocked on the door for directions, he stepped back, a lady came to the door and started yelling, “Why are you trying to break into my house?” He indicated he was simply asking for directions. Herein lies the assumption. He is a black youth, at a white door, in a suburban neighborhood, therefore he must be trying to break in. Immediate reaction: grab your gun, shoot first, ask questions later. "The perception for many is very simply, if you see one of them – Philando Castile, Stephon Clark, Trayvon Martin, Michael Brown, Eric Garner, Tamir Rice, and others - they must be up to no good so shoot. It is sustained, as evidenced by recent studies reflecting patterns and practices, as reported in the New York Times special article When Black Children Are Targeted for Punishment by Derrick Darby and John L. Rury, dated September 25, 2017. In a study from the Arkansas school system, the state ranks 13th in the out-of-school suspension gap between black and white students. In the 2012 school year, black students were suspended five times as often as whites with little having changed as of today. The same report finds several northern states including Illinois, Michigan, and Wisconsin that rank above Arkansas in the white and black suspension gap. The Department of Education reports that black students nationally were three times more likely to be suspended than whites in 2012. These suspensions occur most often in secondary schools, but black children were more than twice as likely to be suspended from preschools as well. "Harsher discipline for blacks is not a southern or state level problem. It is a national crisis. These issues regarding racial differences in conduct and character have long and tragic histories in America. In 1891, the southern educator J.L.M. Curry proclaimed that “blacks displayed a lack of self-restraint and didn’t obey moral law.” Today, these views are maintained by some in policing, from various police departments. They are not willing to prosecute illegal or abusive behavior. Too many have refused to make cultural changes within their own departments. "Very often, black youth are viewed as adults with threatening or deadly behavior. It makes it easy then for one to justify taking them down, shooting them, or treating elementary school children, in some cases, as one might treat an adult. It is a blatant disregard for the personhood of the individual. It provides an excuse for some to be judge, jury, and executioner without any thoughtful or careful analysis. These are perceptions that are enhanced by some in leadership who often pit one group against the other. They are inspired by leaders who identify certain groups of people as rapists, murderers, terrorists and less than human. It is often exacerbated when the leader of the nation describes certain people of color, blacks in particular, as not wanting to go back to their huts and shacks and coming from “shithole countries.” These racist attitudes sustain and give permission for shooting down black youth with impunity, after all, who really cares. "These assumptions and attitudes are further magnified in a report by Badger, Miller, Pearce, and Quealy, dated March 14, 2018, entitled Extensive Data Shows Punishing Reach of Racism of Black Boys. The study reflects the great gap between black boys raised in America, even in families living in some of the most well-to-do neighborhoods. These young boys, later as men, still earn less in adulthood than white boys in a study that traces the lives of millions of children. According to Dr. Ibram Kendi, a Professor and Director of the Anti-Racist Research and Policy Center at American University, “One of the most popular, liberal, post-racial ideas is the idea that the fundamental problem is class and not race, and clearly this study explodes this idea. But, for whatever reason we are unwilling to stare racism in the face.” Again, these issues continue to be fed and nurtured quite consistently in the response to black life by many in our society. "We must be very clear. 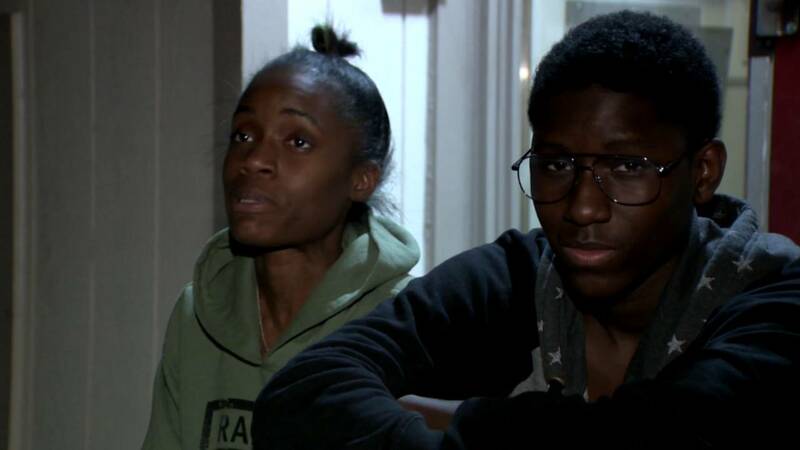 Whether or not it was Brennan Walker, age 14, knocking on the door in the daylight in Rochester asking for help, he was still shot at for his efforts. In case you forgot, Renisha McBride, age 19, was shot in the face at midnight and killed in Dearborn Heights as she asked for help for her efforts. Until our society has a heart and a head transformation, we will continue to see not our God given humanity but our contagious racial insanity. Face it America, we have a problem. It’s called racism. Until we own it, we cannot cure it. What are you going to do about it?"